Along about February in Idaho, I think the vast majority of folks could use a little more moisture in their skin. Idaho is basically a desert, after all: Boise gets about 12 inches of rain in an entire year. Then there’s the fact that the vast majority of the people in our house have dry skin. Suffice it to say that dryness reigns supreme around here. When I was asked by Suave® to try Suave Professionals® Moroccan Infusion Body Lotion, I happily accepted. This lotion features argan oil from Morocco, a type of oil that is high in Vitamin E and is supposed to be very good for the skin. I found that the lotion smelled good and absorbed quickly, while seeming to stay on my skin for quite a few hours. The fragrance is light and pleasant. My girls and I all liked it. Suave® wanted me to share the following information points with you. With new Suave Professionals® Moroccan Infusion Body Care, women everywhere have access to premium products infused with authentic Moroccan argan oil. Suave Professionals® Moroccan Infusion Body Lotion is a daily moisturizer that absorbs quickly for up to 24 hours of radiant, non-greasy hydration. Suave Professionals® Moroccan Infusion Dry Body Oil Spray has a non-greasy formula that absorbs instantly and seals in long-lasting moisture. · Find more information about the Suave Professionals® Moroccan Infusion Body Care products at www.Facebook.com/SuaveBeauty. · Visit the Suave® Beauty Facebook page to get tips for radiant skin, style advice from celebrity stylist Brad Goreski and enter the “Radiant Wishes” sweepstakes for a chance to win Suave Professionals® Moroccan Infusion products, a spa day or a trip to Los Angeles. Sweepstakes Good news! There’s a giveaway! Each comment posted belows garners an automatic entry into a random drawing for a $1,000 gift card (across all participating blogs). For a chance to win a $1,000 gift card, let me know which of the Suave Professionals® Moroccan Infusion Body Care products you would most like to try. For an additional entry, go to Facebook and like SuaveBeauty. Then come back and COMMENT AGAIN to tell me you liked them on Facebook. Would love to try this product. We also live in a desert region. I LOVE, LOVE, LOVE Suave’s shampoo and conditioner with the Moroccan argan oil in it. Ever since baby #3 I’ve developed curly hair and it’s really the first product I’ve found that tames it. Plus it smells wonderful! I can only that the lotion would be great too! The Spray Body oil would be great for dry winter skin in our house. I would love to try the lotion. I already use the shampoo and conditioner, so this would be great! I have very dry skin and I love argan oil. I would love to try the body lotion. My neutrogena isn’t cutting it this year. The Suave Professionals® Moroccan Infusion Dry Body Oil Spray sounds GREAT. Traditional lotion doesn’t work well for my skin. I use lots of Suave products! Thanks for the chance to win! I’d like to try the Moroccan argan oil. I’d like to try the conditioner. I would love to try this. My girls and I have very dry skin. I have heard great things about the Suave Conditioner, so that is what I want to try. I like SuaveBeauty on Facebook. I would love to try this Sauve product. I would like to try the lotion as we already use lotion and also the body oil spray as it is something we have never used before but would love to give it a try and see how it works for us. I would love to try this. where i live the winters are so cold and dry! I could really use this lotion! 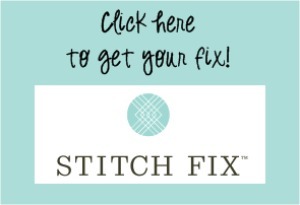 Will have to try – I am one ITCHY mama! Liked on Facebook! Am planning to try the lotion. I use Argan oil on my daughter’s hair, but haven’t tried it myself. I’ll bet it would be good for her ashy, dry skin, too! 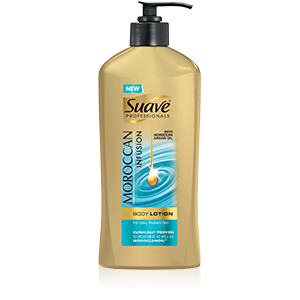 Since I live in Arizona, I’d really like to try the Suave Professionals® Moroccan Infusion Body Lotion that you just reviewed. Sounds like it might be a winner! California’s so dry for me too, especially since I’m a native florida girl! Plus, I’ve been hearing a lot about argan lately…. Liked Sauve Beauty of FB too. I would love to try the lotion. Boise is VERY dry and I spend all winter slathering my poor skin with whatever lotion I can find. I go through it so very fast! I would love to try the spray. My skin is extremely dry. I currently use the Moroccan Conditioner, and like it pretty well. I’ll probably try the shampoo next. I would like to try the dry body oil spray. That would be nice right after the shower. I’d most like to try the Dry Body Oil Spray. I want to try the Moroccan Infusion Dry Body Oil Spray and I am a Suave FB fan! Body lotion, please! My winter parched skin always drinks lotion. The dry oil spray sounds great, I’d love to try it! I would most like to try the Dry Body oil…my skin is so dry in the winter. thanks for the chance. I think the spray sounds interesting.